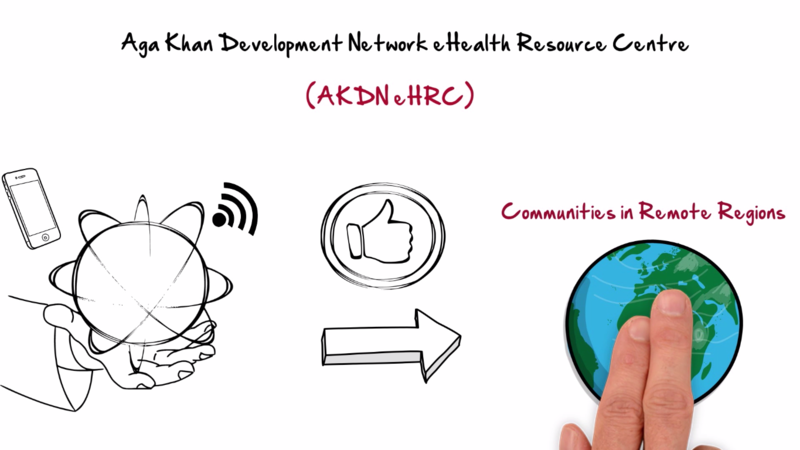 The Aga Khan Development Network eHealth Resource Centre (AKDN eHRC) drives improvements in access, quality, cost, efficiency and safety of health care through Information and Communication Technologies (ICT). AKDN eHRC supports its clients’ service delivery and research projects in Asia and Africa and promotes capacity building initiatives to benefit health care providers. Through its Innovation Lab, the Centre ideates, develops and tests high-impact, low-cost, innovative health care products. Leveraging the exponential growth in mobile technology, AKDN eHRC focuses on mobile application development to address health issues prevalent in low- and middle-income countries (LMICs). The Centre develops and implements mHealth apps to create awareness in target populations, streamline processes and empower governments to monitor their health care system. The aim is to strengthen health systems and improve health outcomes of poor and medically underserved communities. The Centre has developed its first online certificate course in eHealth. The course consists of 10 modules on various eHealth topics and a capstone module. It is designed to build the eHealth capacity of students and professionals from the health care sector and help them implement effective eHealth programmes in LMICs. The course was offered to AKDN members in 2015 and has opened to a global audience in 2016. Sulhiya Ilolova, Research Assistant, eHealth, at the Aga Khan Health Service, Tajikistan, describes her experience as part of the eHealth certificate course’s first cohort. “This course introduced me to topics such as ICT, telemedicine, health information systems and proposal writing. Now I am confident about writing high-quality proposals for eHealth projects, something I didn’t know how to do before! I am already applying the tools gained through the M&E module in my work. The skills gained through the different modules are very applicable to my role of managing eHealth activities. AKDN eHRC harnesses technology to reduce geographical and spatial barriers, make quality health care accessible and affordable in remote regions and integrate health into everyday life. Learn more about AKDN eHRC’s focus areas, activities, Innovation Lab and multi-disciplinary team in this video.